Very few start drawing circuit schematic diagrams from scratch. 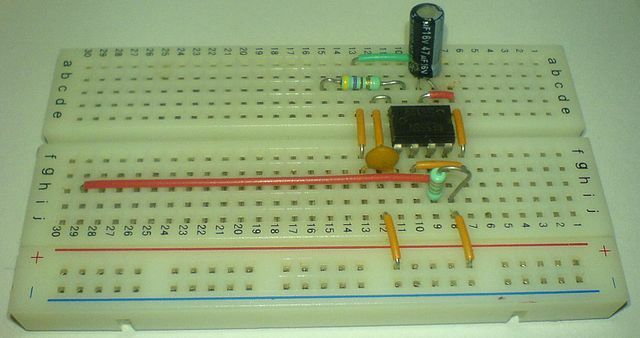 You usually start with a picture of a circuit diagram that you found in a book or on the web somewhere. Either you start with a complete circuit where you only need to do minor changes or you combine several smaller circuits into a larger one. For example, you take the reference circuit for a microcontroller and add a LED driver circuit to driver some LEDs and an amplifier circuit to drive a speaker. The Art of Electronics (by Horowitz and Hill) is a good book to learn about electronics theory and to use as a reference for when you need a basic circuit of some kind. 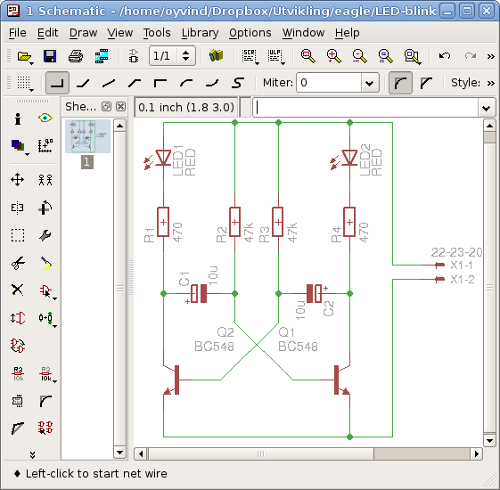 For a practical tutorial on drawing a circuit schematic in Eagle, click here. For a beginner’s guide to Eagle, click here. Start out by drawing a simple block diagram of your circuit to get an overview. If there are any component values you are unsure about, draw that part of your circuit out on a piece of paper and do the calculations. This will require a bit of knowledge about electronics theory, but you can come a long way if you understand a little bit of basic electronics. Now, draw your circuit on your computer. To create a real life printed circuit board out of your schematic, you need to draw it in a schematic editor first. I like to order components from one of the many available online component distributors. A quick search lets me know if they have the component or not. To test the circuit there are two options. Simulate, or try it out. Not necessarily the whole circuit, but at least the part that you are unsure about. For analog circuits like amplifiers and filters it is important to do a circuit analysis on a computer before you build the real thing. If you do the simulation, then you know how the circuit is supposed to work and it is easier to troubleshoot the circuit at a later stage. Simulation can be done be the widely popular SPICE which is available in many different versions. For circuits using digital electronic components like microcontrollers, you usually do not simulate the circuit. Another good way to test your circuit is to actually build it on a prototyping board like a breadboard or a line strip board. But you need to consider this method up against the price and time it takes to get your circuit board manufactured. If you have a very complicated circuit, it might take a lot of time to be able to build it on a breadboard and it might be really hard to spot errors. In these cases, testing smaller parts of your circuit that you are unsure about can be a good approach.